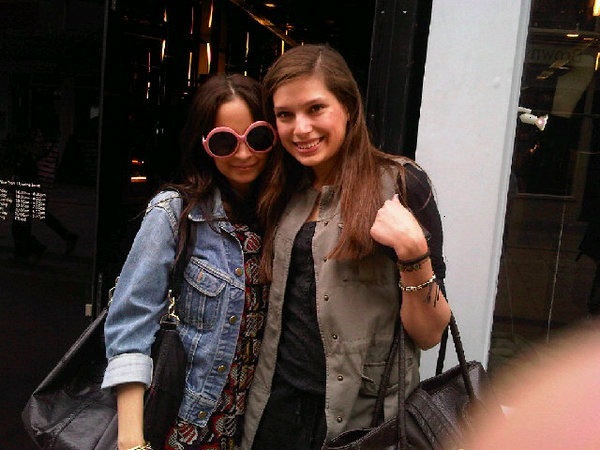 Nicole Richie was spotted out in London today by a fan. Nicole Richie wore the victoire dress for her Winter Kate collection with a denim jacket. Nicole completed the outfit with a pair of pink super shades! Beautiful pic!I hope one day Nicole will come in Italy too!